The INGENERIC GmbH was established in 2001. The company counts around 80 employees as their trusted key for success. Headquarter and production is located in Aachen, Germany. In addition there are further premises close to Aachen to cover the extended demand. 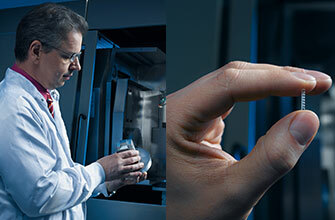 At a space of 1,350 m² (14,500 ft²) INGENERIC develops and manufactures micro-optics, optical systems and laser systems. For its worldwide customer base INGENERIC offers the complete process chain starting from lens and system design over prototyping and practical evaluation up to large series manufacture. With its unique technology profile INGENERIC has thus advanced to one of the leading suppliers of beam shaping optics for semiconductor lasers. In the business unit “optical systems and laser systems”, the company develops and mounts optical systems like fiber couplers, homogenizers and collimation modules. INGENERIC further provides ready-to-use laser systems, specializing in extremely high peak powers. Our Mission is to provide the best solutions for our customers. We naturally strive for technological leadership and innovation. We believe in a longstanding, successful and confidential collaboration with our customers. We operate a strict quality control policy. We regard our competent and highly motivated employees as the key to a long-term successful company. We believe in a sustainable development by taking care of our economic, environmental and social responsibility.